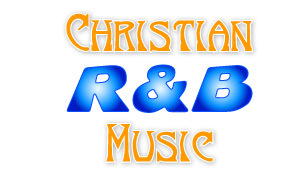 A7 - Inspirational urban soul that you should have in your Christian music rack for 2007! Integrating such musical styles as Motown R&B, gospel, jazz and hip-hop A7 have produced an urban soul-stirring project that is being classified as 'inspirational urban soul. Anointed - The Anointed's reputation has been built on premier vocals and a unique ability to move seamlessly between a wide variety of genres, proving their diversity with pop, gospel, and R&B influences. They have four albums, three Dove Awards, two Grammy nominations, one Stellar Award, and numerous chart-topping singles to their credit. David Dowlen - David’s music would best be described as rhythm and praise music. The message is there and it has a feel that sounds like mainstream music. This is great Contemporary Christian music which both pumps up and lifts the spirit, soothes the nerves, feeds the soul, and puts the listener in another world of well done and interesting music. (the) Katinas - The Katinas have built a dedicated following with their straight ahead pop/R&B sound. Their style of music is very versatile and appealing to all ages and backgrounds. The close harmonies and voice range of the Katinas is truly wonderful. Crystal Lewis - Time does not seem to define the career of critically acclaimed singer/songwriter and multi-Dove Award winner, Crystal Lewis. In a day and age where so many artists come and go, Crystal’s unbelievable voice and undeniable message has withstood the test of time. Nicole C. Mullen - Nicole C. Mullen has won and been nominated for several Grammy and Dove Awards, including Song of the Year and Female Vocalist of the Year. Nicole likes to blend many genres in her music, including R&B, folk, gospel, disco, hillbilly, and pop. Stacie Orrico - R&B/Pop artist Stacie Orrico has received very high acclaim for her albums and her ability to reach and minister to both Christian and secular fans. Her energetic and mature sound has even place her on tuor with secular pop groups. Out of Eden - Out of Eden is a Hip-hop/ R&B/Gospel group of soul sisters who are actually sisters. They grew up on stage performing with their mother who was a classical pianist. They are known for their beautiful harmony, precise production, and their ability to cater to diverse audiences. for your prayer group or bible study group - all free!